The European Parliament voted Thursday against the current form of a copyright reform proposal which has come under fire in recent weeks for sections which critics say would unfairly stifle the sharing of content on the internet. 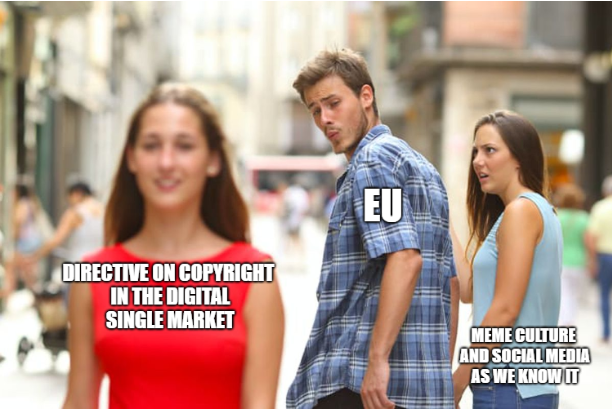 The stated goals of the Directive on Copyright in the Digital Single Market 2016/0280(COD), as it is officially known, are to harmonize copyright protection across the EU and give additional protections to content creators and rightsholders. However, opponents of the directive – which include the Electronic Frontier Foundation, the Wikimedia Foundation, Google, World Wide Web founder Tim Berners-Lee, the Office of the United Nations High Commissioner for Human Rights, and hundreds of academics, scientists, and journalists – have warned that it would have disastrous effects for culture and information sharing in Europe and beyond. Article 11: This would force, for example, anyone wishing to even share this article’s headline “EU Parliament votes against controversial copyright reform” on social media to obtain permission from The Krakow Post first. Article 13: This would hold most content sharing platforms responsible for licensing (or, failing that, blocking) any copyright-protected material. While nominally designed to prevent piracy, critics fear that, by virtue of the facts that this would apply to all automatically copyrighted (like any photo, video, or text created by anyone) and that it would hold platforms like social media companies (rather than individuals) responsible for violations, it would effectively force most sites that allow users to share content to implement automatic stringent content filters on everything that is uploaded there. This is often described by opponents as a death sentence for internet memes, which by their nature are usually derived from images created by others, but it would affect many other types of content as well. Supporters of the directive – mostly music publishers along with other creative rightsholders and their representatives – accuse the opposition of exaggerating and fear-mongering. They argue that the rules would be reasonably applied in the limited interests of maintaining legitimate and willful copyright violations, and that sufficient exceptions have been added to prevent the contingencies opponents warn of. In the end, the vote failed 278-318, with 31 abstentions. Poland MEPs were remarkable in having zero “yes” votes, a distinction they shared only with Sweden. It should be noted, however, that this is not the end of the matter. This simply opens the proposal to further changes and negotiations before a (probably revised) version is voted on in mid-September. If you would like to learn more, German Pirate Party member Julia Reda has a good summary of the opposition views (along with arguments for why the exceptions which purport to relax the law would be ineffective). For an argument from the other side, you can read the open letter signed by Paul McCartney, James Blunt, and more than 1,300 other recording artists who support the directive. Finally, if you want to contact your MEP, you can find more information here.